The 39-year-old victim in a serious drunk driving car crash in Weymouth is finally walking again with the assistance of a crutch. The accident occurred in February, and at that time, doctors did not know if he would ever walk again. His total injuries included a brain hemorrhage, a dissected aorta, a heavily damaged liver, one broken leg, a shattered knee that had to be replaced, the destruction of his abdominal muscle to the point where it had to be replaced, and a shattered diaphragm, according to a recent news feature from CBS Boston. He was walking on the sidewalk when this horrific drunk driving crash occurred, and he was completely run over by the driver before the driver crashed into another car. When police arrived, they investigated the cause of the nearly fatal car accident while EMTs attempted to stabilize the victim for transport. As part of the drunk driving investigation, they asked the driver of the car to perform a series of standardized field sobriety tests. He was said to have fallen on his face on the concrete while attempting to perform these sobriety tests. Police alleged that he was not only operating a motor vehicle under the influence of alcohol (OUI), but was also high on drugs at the time of the tragic car accident. The driver was 51-years-old at the time of his arrest. The victim said this driver “practically killed him,” but also said that he doesn’t have any anger against the driver and understands how alcoholism can affect people. He said he also has alcoholism in his family. The medical bills were estimated to be around $100,000, which is actually fairly low for the amount of severe injuries he suffered in this Weymouth drunk driving accident. The defendant did have insurance, but his coverage was only around the minimum, which was $20,000 per person per personal injury, so that is the most they will cover. Unfortunately, this is a fairly common problem in car accidents with serious personal injuries. This situation is known as an underinsured motorist (UIM) to Boston drunk driving accident lawyers. The reason for this is because the driver has the state minimum level of coverage to legally drive, but not enough coverage to fully compensate the victim for all of his injuries. If this occurs, as it frequently does, there may be a way to get a more substantial recovery through what is known as underinsurance motorist coverage. 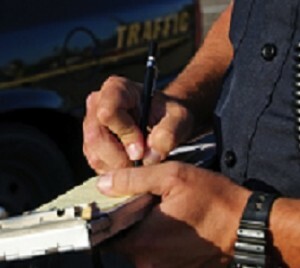 Even if you were a pedestrian at the time of the accident, if you or a family member in your household owns a car and that car is insured, you may be able to get your own car insurance company to pay part of your damages once the at-fault driver’s company has paid up to the policy limits. However, just because your company can pay for the damages, doesn’t mean it will, and that is why you should speak with an experienced attorney to see if you have a valid claim for UIM compensation in addition to the compensation from the alleged at-fault driver’s car insurance plan.